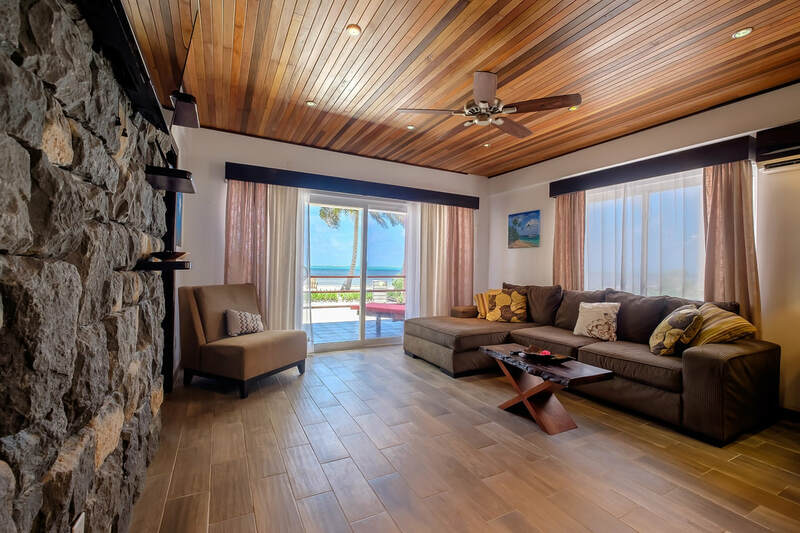 Wake up to spectacular sunrise views from the oceanfront master bedroom. 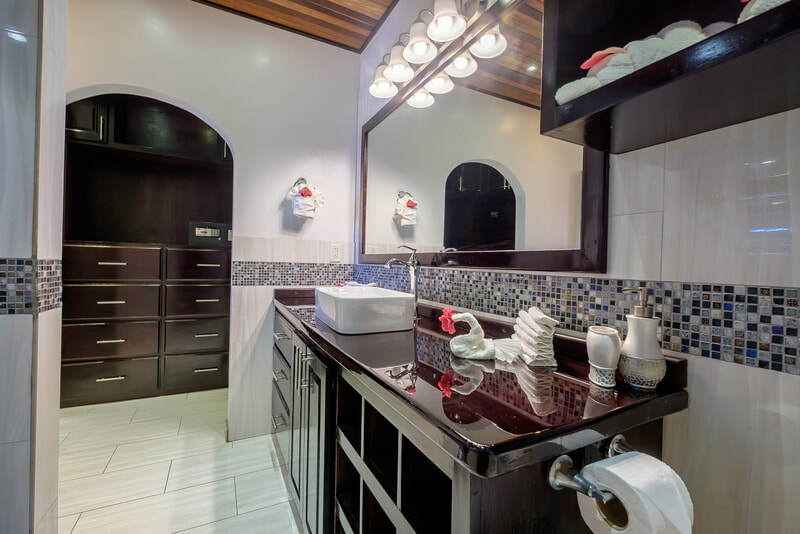 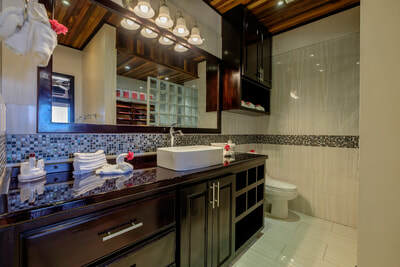 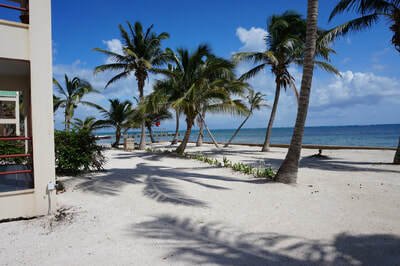 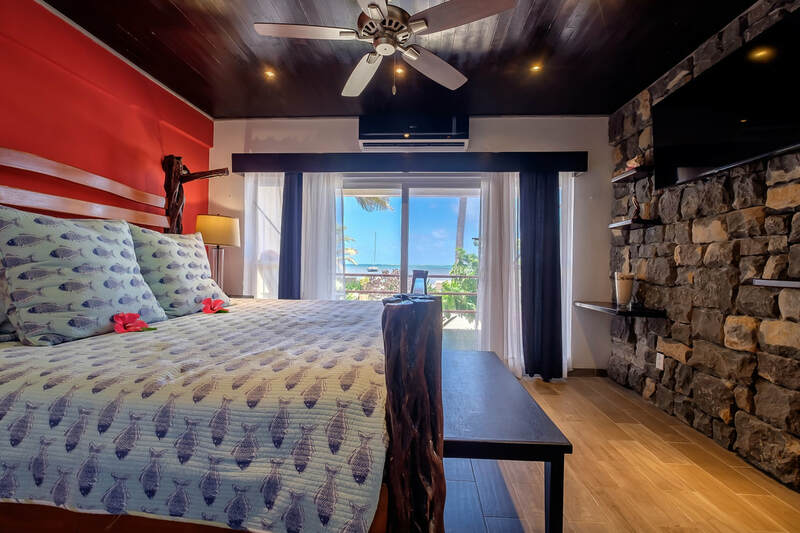 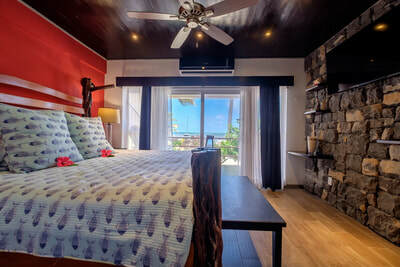 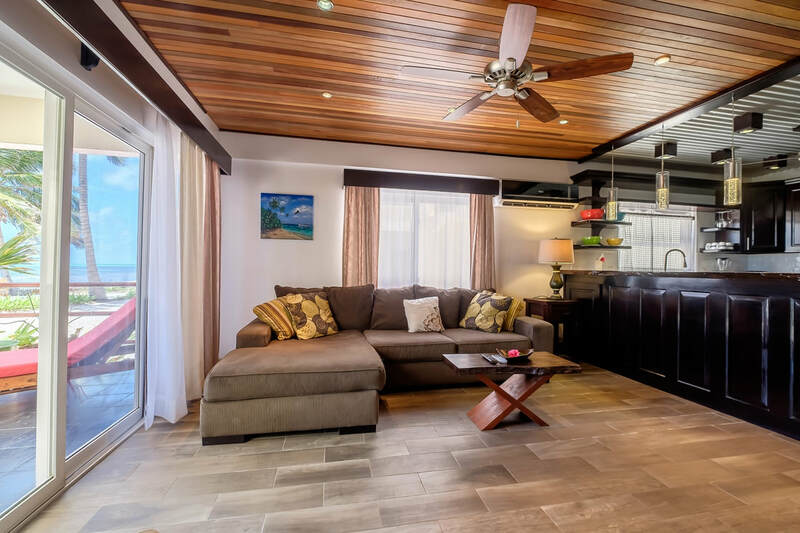 This condo is located at Tres Cocos Resort, immediately north of San Pedro Town, approximately one mile north of the center, just across the Boca del Rio Bridge. 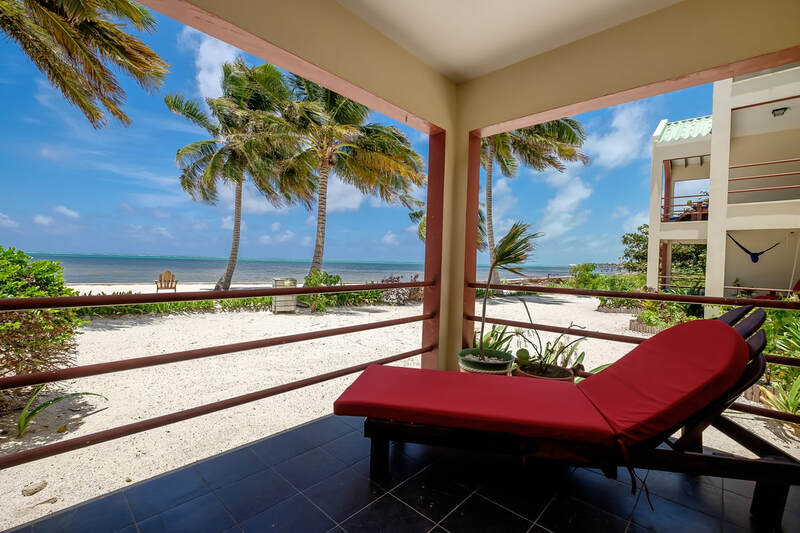 Tres Cocos is rapidly becoming a favorite local and tourist destination, yet the area has been able to retain the tranquility one would expect on a tropical island. 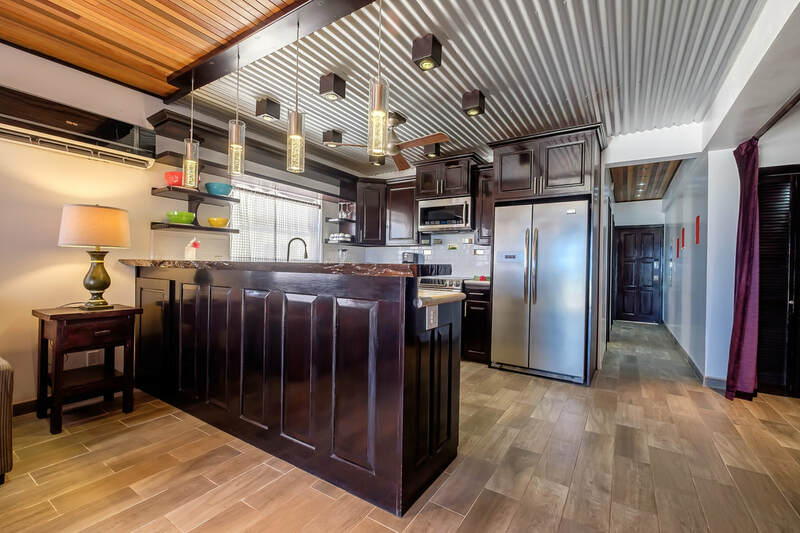 Some of the best new restaurants including the Truck Stop, The Dive Bar, Feliz, and Marbucks, all only minutes from this newly renovated modern design condo. 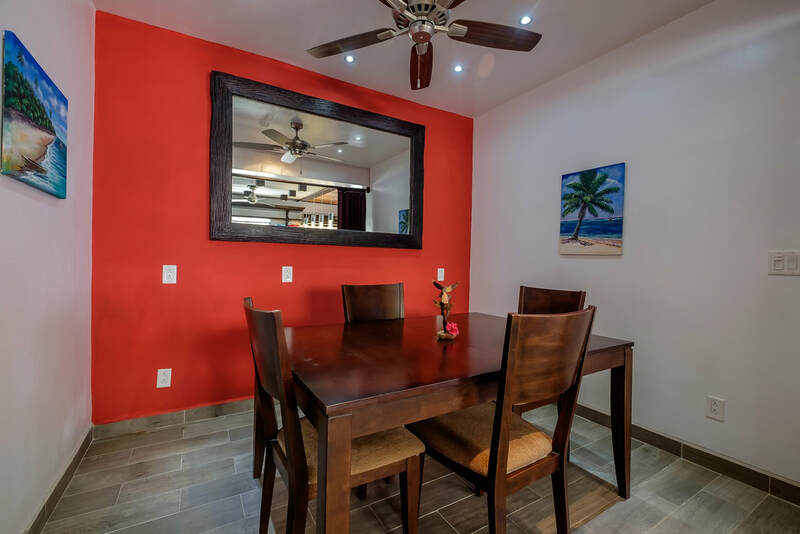 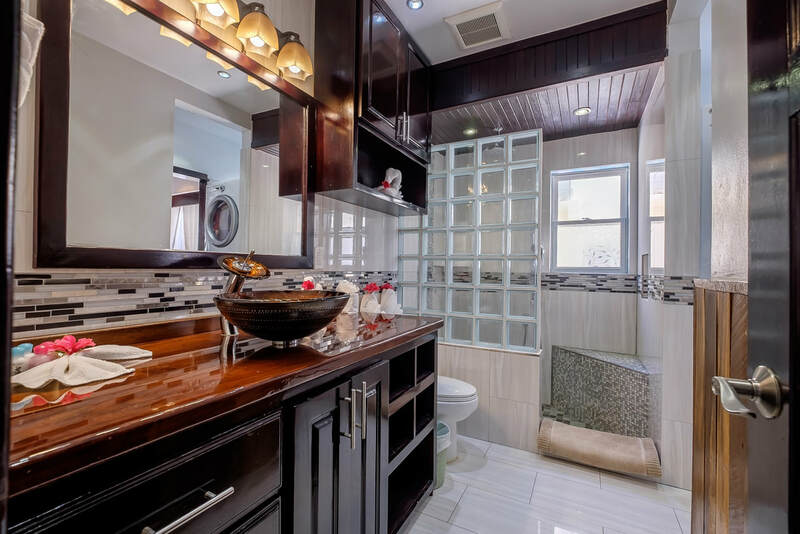 This completely remodeled two bedroom condo has two beach front verandas, spacious living areas and fully equipped kitchen. 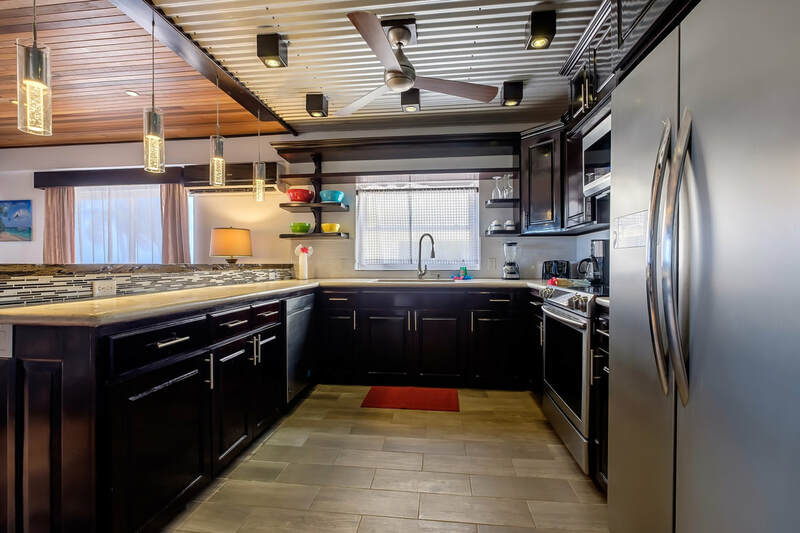 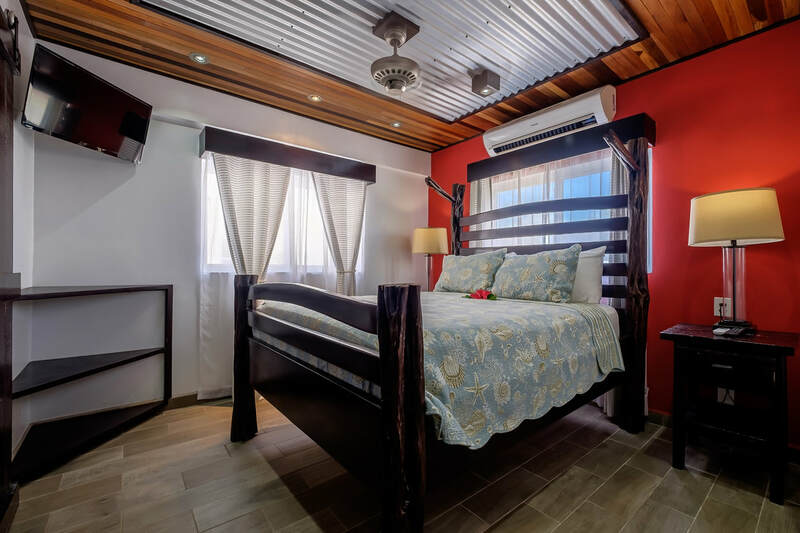 The use of Belizean hardwood ceilings, galvanized steel, and built-in cabinets creates an aesthetic and efficient use of space. Other features include modern design ceiling fans, classic sliding barn door, upgraded bathroom fixtures, and recessed lighting throughout.